EESE builds upon the past achievements of the TERI-SDC partnership to help scale up the adoption of clean, energy efficient solutions in the MSME sector. To achieve this aim, the project focuses on building and strengthening technology-related policy dialogue and knowledge sharing mechanisms. 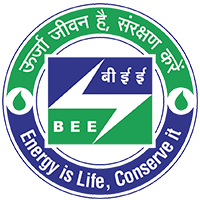 The activities of EESE complement the existing programs of BEE, Ministry of MSME and other multilateral initiatives of GEF, UNIDO, World Bank and REEEP in the MSME sector. To address the present data gap on energy consumption in the MSME sector, the project is collating and sharing energy-related data on energy-intensive MSME clusters through the SAMEEEKSHA platform. A graphical interface in the form of an interactive map will be developed to showcase the information. To increase the demand for and adoption of EETs among MSMEs in the foundry sector, the project is undertaking energy audits, providing implementation support, and simultaneously creating supportive local infrastructure by strengthening the capabilities of LSPs, plant supervisors and workers in target clusters. Six large foundry clusters have been identified for intervention under the project: Rajkot, Howrah, Ahmedabad, Coimbatore, Kolhapur and Belgaum. The project has already worked in the first four clusters in the previous phase, and hence has established good credibility among cluster-level stakeholders. 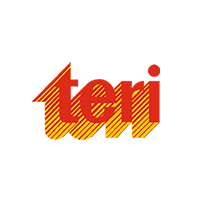 TERI has also been working in the Kolhapur and Belgaum clusters under the GEF-funded projects being implemented by World Bank and UNIDO respectively. As the project targets a large number of implementations in a short period, the technology replications are in the nature of energy efficiency best practice measures involving no or low cost. Examples are reducing air leakages, accurate weighing of raw materials, and/or retrofits of commercially available technologies such as variable frequency drives (VFD), flow-control dampers, etc. The project is expanding into two new MSME sectors-aluminium and induction furnaces-on which diagnostic studies and benchmarking studies are being undertaken. The project envisages exploring new opportunities like ecological development of the new foundry parks, demonstration and dissemination of energy efficient furnaces and development of energy efficient agricultural pump-sets through other consultancies. In addition, the project is remaining in touch with stakeholders in the glass and brick sub-sectors. The project will consult with and draw upon the knowledge and experiences of the different organizations that are already engaged in promoting energy efficiency in the MSME sector, and also share its own experiences and results with the these organizations for the overall benefit of the MSME sector. 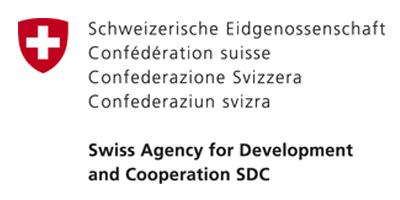 At the macro level, the project will make efforts to share its experiences of facilitating the development and dissemination of cleaner technologies with new mechanisms/institutions evolving under the climate change convention- such as the technology networks/centres-in national and international dialogues and meetings.